Kwalucia Private Safari Retreat is an exclusive African Safari Retreat born from the combination of the Zulu spirit and the passion for unspoiled wilderness. St. Lucia was first named in 1554 as "Rio de Arelas de Ouro" ("River of the sands of Gold") by the survivors of the Portuguese ship Saint Benedict. At this stage, only the Tugela River mouth was known as St. Lucia. Later, in 1575, the Tugela River was properly named Tugela. On 13 December 1575, the day of the feast of Saint Lucy, Manuel Peresterello renamed the whole mouth area to Santa Lucia. The 19th century saw extensive hunting for ivory, rhino horn and hippo teeth. Fortunately, the ecological significance of the wildlife and fish resources were recognized and protected by declaring this area a Nature Reserve on 27th April 1897. This reserve included the Lake and some of the surrounding land. The original reserve of 36 826Ha is considered the oldest permanently declared reserve in Africa. Today St Lucia is part of the iSimangaliso Wetland Park, covering an area of 332 000 hectares . (Formely the Greater St Lucia Wetland Park). 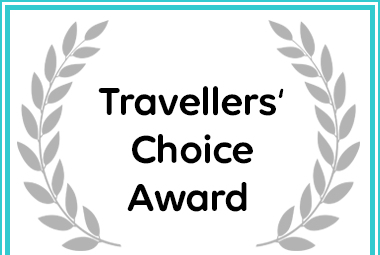 Kwalucia Private Safari Retreat in St Lucia received a Travellers' Choice Award. Kwalucia Private Safari Retreat has been awarded Tripadvisor’s “Travelers Choice Award” as one of the best 25 Bed & Breakfast/ guesthouses in South Africa.